Car lashings are straps to prevent load to slip. You can use it on container roro-ships or on special car-loading-trucks for load securing. 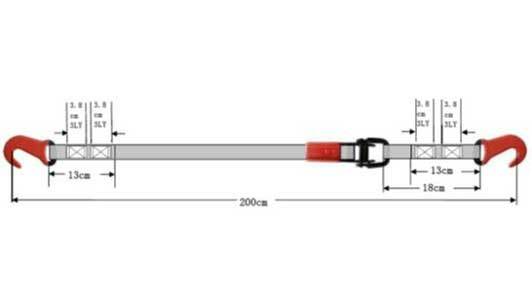 The fixed lashing of cargo lashing belts increases the pressure and the friction force. 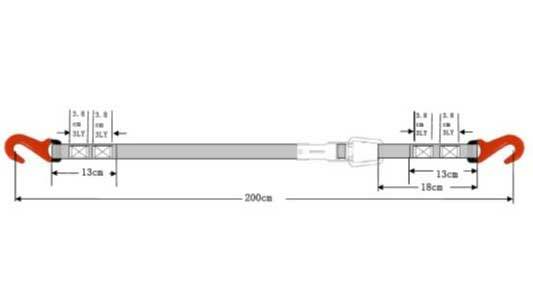 The lashing capacity (LC) is up to 1500 daN. 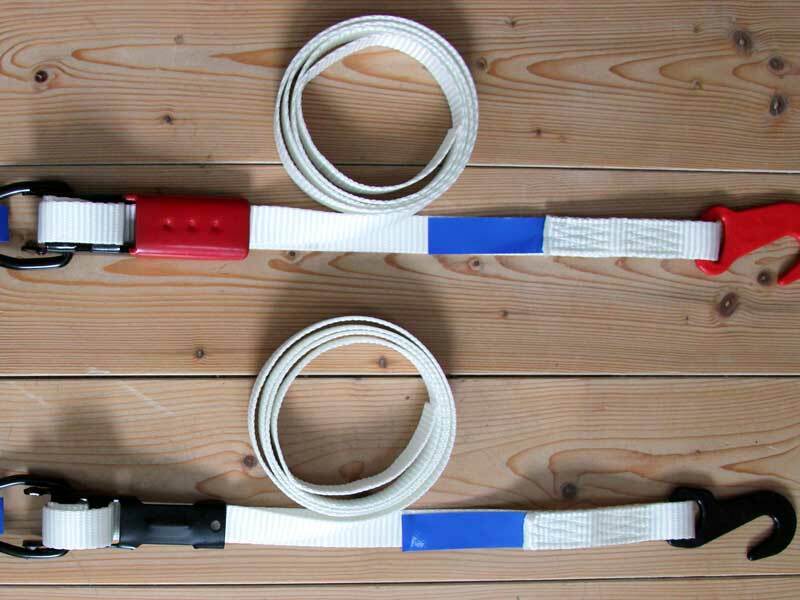 The high quality polyester webbing of car lashings has a width of 25mm and regularly a length of 2m. Other lengths are available on request, you can also choose the colour. Snap hooks and paddle buckles are made of steel with black coating. Please note: Car lashings are manufactured according to DIN EN12195-2. They come packed in carton boxes on pallets.